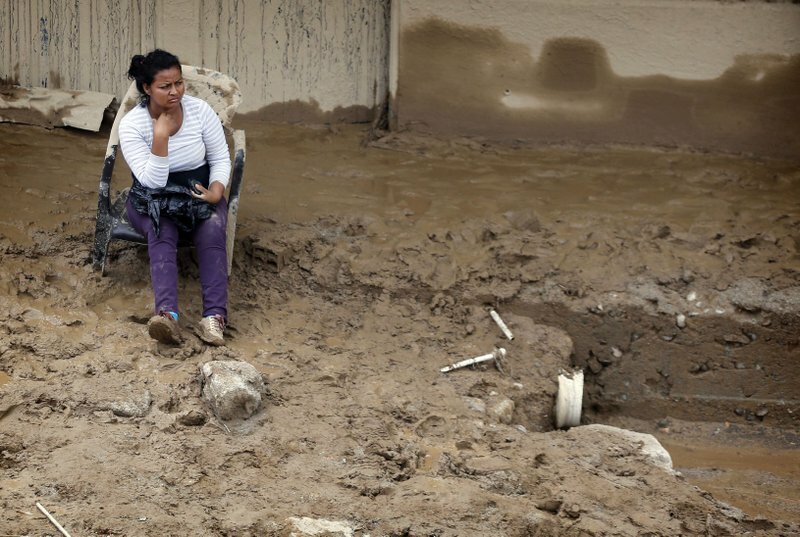 Townspeople desperately searched their ruined homes and the local hospital for loved ones Sunday after a torrent of water, mud and debris swept through a city in southern Colombia, causing more than 200 deaths, many of them children, and leaving hundreds more missing and injured. 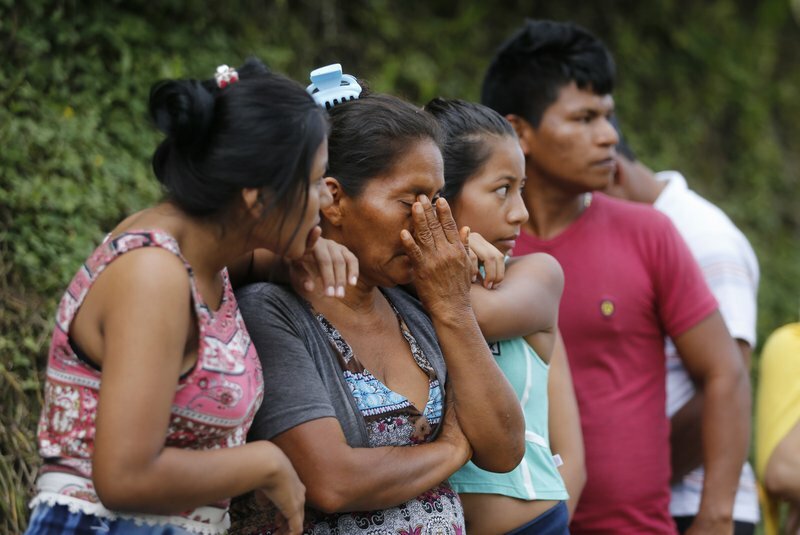 "People went to their houses and found nothing but the floor," said Gilma Diaz, a 42-year-old woman from another town who came to search for a cousin. Dozens stood in the door of a hospital, hoping for news of family members who were not on the list of those confirmed dead or injured. Others frantically knocked on relatives' doors, hoping to find someone with information about their loved ones. Maria Cordoba, a 52-year-old resident who was trying to wash her belongings in a river, said two of her nephews, ages 6 and 11, were killed when their house was destroyed. "The mother as well was totally beaten up" but managed to save her 18-month-old baby, she said. A rescue worker in an orange jumpsuit emerged from one search area with the body of an infant wrapped in a towel. Not far away, Abelardo Solarte, a 48-year-old resident of Mocoa, held a child's shoe as he helped clear debris. "You have no idea how many kids there are around here," Solarte said. Jair Echarri, who came from a nearby town to help, also struggled to comprehend the loss of so many children. "I feel an enormous sadness because it's filled with kids' things, toys, clothes, school books," he said. "I am a father and this breaks my heart." 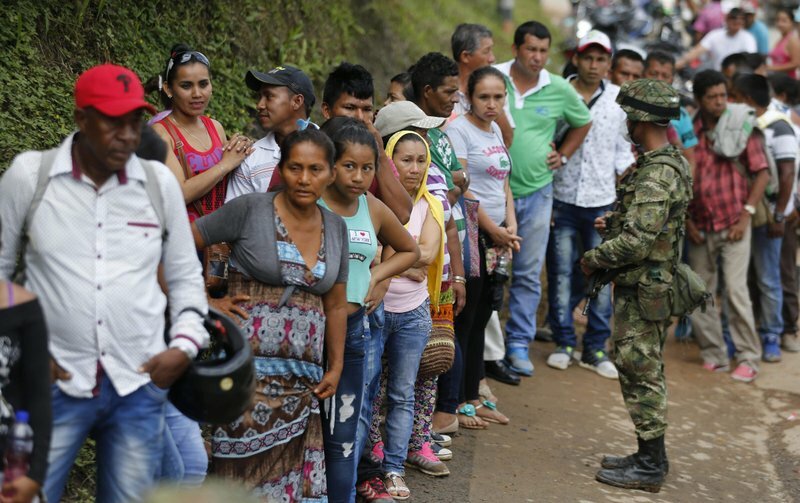 Santos said the avalanche of water and debris also destroyed roads and bridges, knocked out power in half of the province of Putumayo, where Mocoa is located, and destroyed the area's fresh water network, creating dangerous and unsanitary conditions. 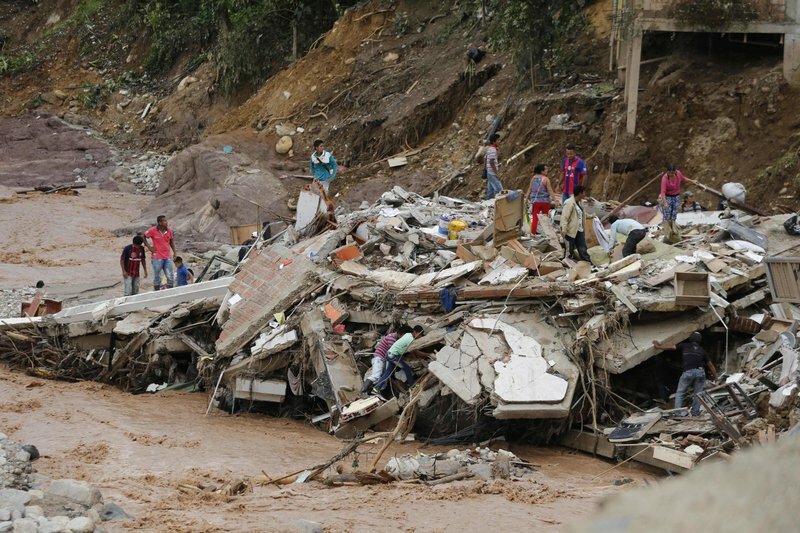 "The rain fell on Mocoa with an intensity and force that was without precedent and devastating," Santos said. "It rained in two hours what falls in a month in Bogota." Juan Chanchi de Ruiz, 74, said the noise of the surging flood woke her up and gave her enough time to get to higher ground. Her house was unscathed, but several neighbors' homes were heavily damaged and many people fled with some of their belongings. "Around here, there's nobody. 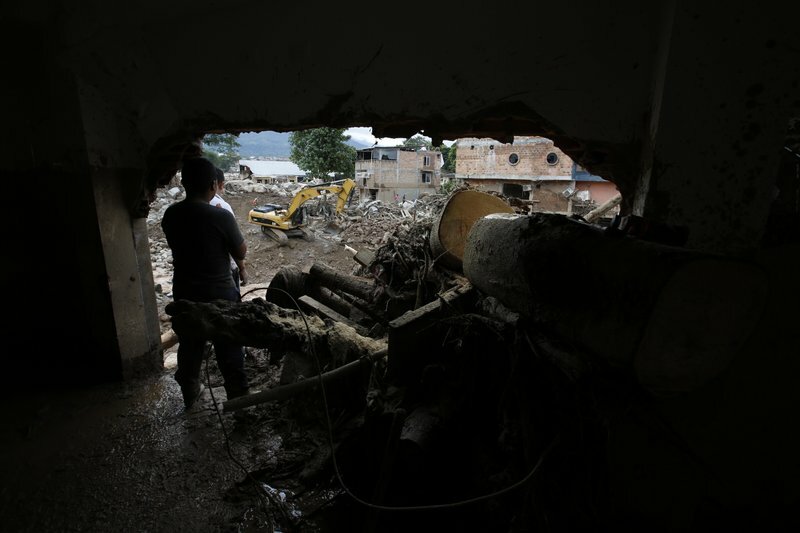 Everybody left," she said.Colombian officials pledged aid to rebuild homes, and the attorney general launched an investigation into whether local and national authorities responded adequately to the disaster. Santos also said they would launch a health and vaccination campaign in the city to prevent an outbreak of disease. "Mocoa needs to rise up from this blow," he said. "And it will." 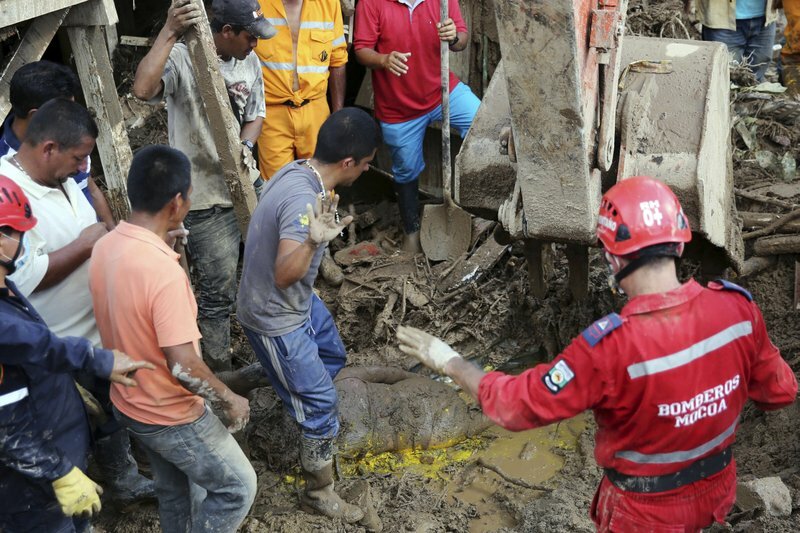 Firefighters and neighbors stop their work as they found the body of a woman in Mocoa, Colombia, Sunday, April 2, 2017. Colombia's President Juan Manuel Santos, who has declared Mocoa a disaster area, said that at least 207 were killed but that the death toll was changing "every moment." Authorities said another 200 people, many of them children, were injured and just as many were unaccounted for amid the destruction. Firefighters and rescuers cover with a blanket the body of a woman in Mocoa, Colombia, Sunday, April 2, 2017. 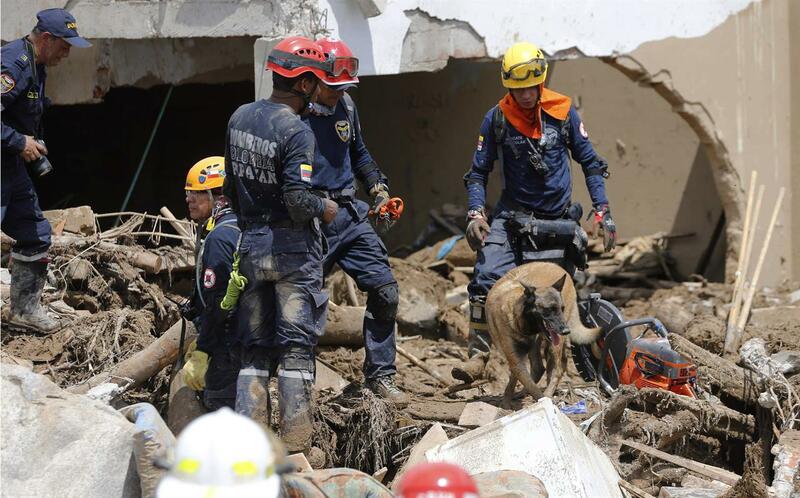 Colombia's President Juan Manuel Santos, who has declared Mocoa a disaster area, said that at least 207 were killed but that the death toll was changing "every moment." Authorities said another 200 people, many of them children, were injured and just as many were unaccounted for amid the destruction. People walk over the debris of a collapsed building in Mocoa, Colombia, Sunday, April 2, 2017. Colombia's President Juan Manuel Santos, who has declared Mocoa a disaster area, said that at least 207 were killed but that the death toll was changing "every moment." Authorities said another 200 people, many of them children, were injured and just as many were unaccounted for amid the destruction. People line up outside a cemetery to ask for their missing relatives in Mocoa, Colombia, Sunday, April 2, 2017. Colombia's President Juan Manuel Santos, who has declared Mocoa a disaster area, said that at least 207 were killed but that the death toll was changing "every moment." Authorities said another 200 people, many of them children, were injured and just as many were unaccounted for amid the destruction. 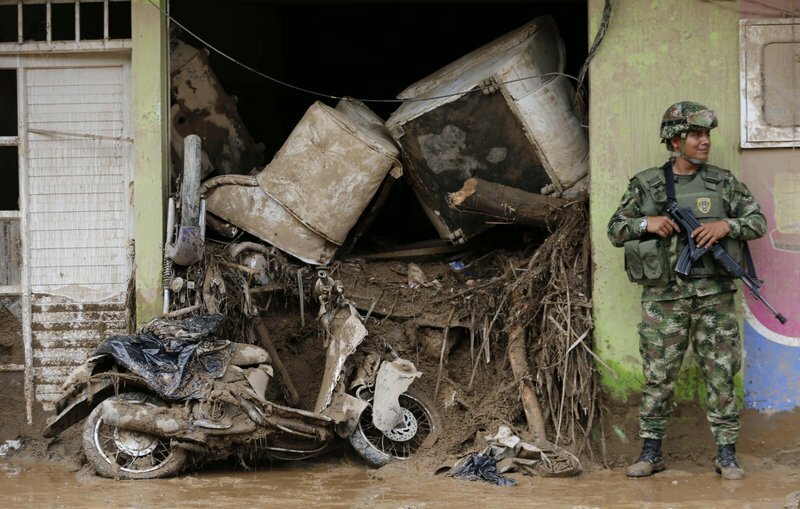 A soldier stands guard next the damage home in Mocoa, Colombia, Sunday, April 2, 2017. Colombia's President Juan Manuel Santos, who has declared Mocoa a disaster area, said that at least 207 were killed but that the death toll was changing "every moment." Authorities said another 200 people, many of them children, were injured and just as many were unaccounted for amid the destruction. A man removes mud from his damage house in Mocoa, Colombia, Sunday, April 2, 2017. 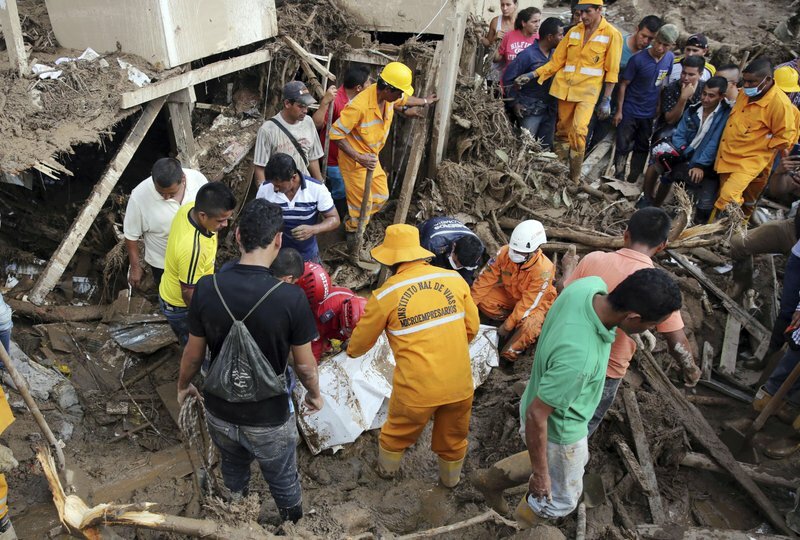 A grim search for the missing resumed at dawn Sunday in southern Colombia after surging rivers sent an avalanche of floodwaters, mud and debris through a city, killing at least 200 people and leaving many more injured and homeless.